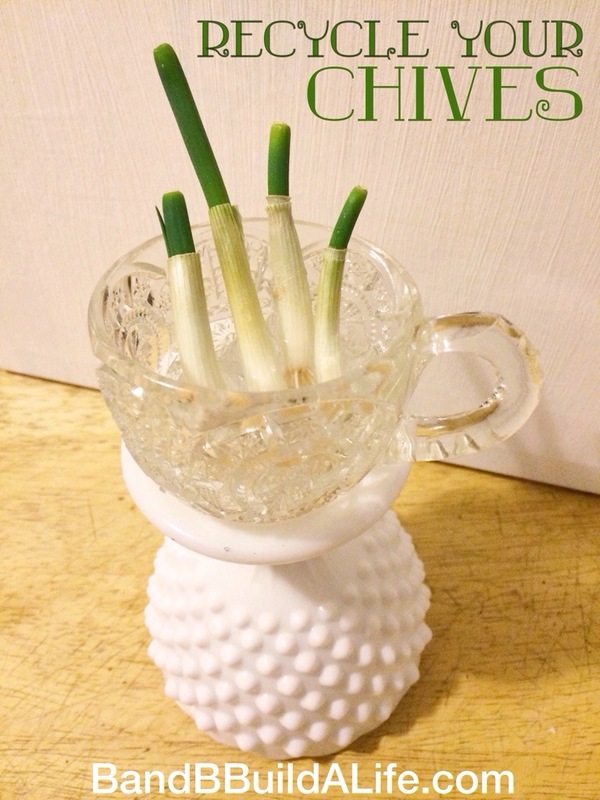 I had heard it somewhere that if you save the root end of your green onions – aka chives – that you could re-grow fresh stalks. So I gave it a shot. 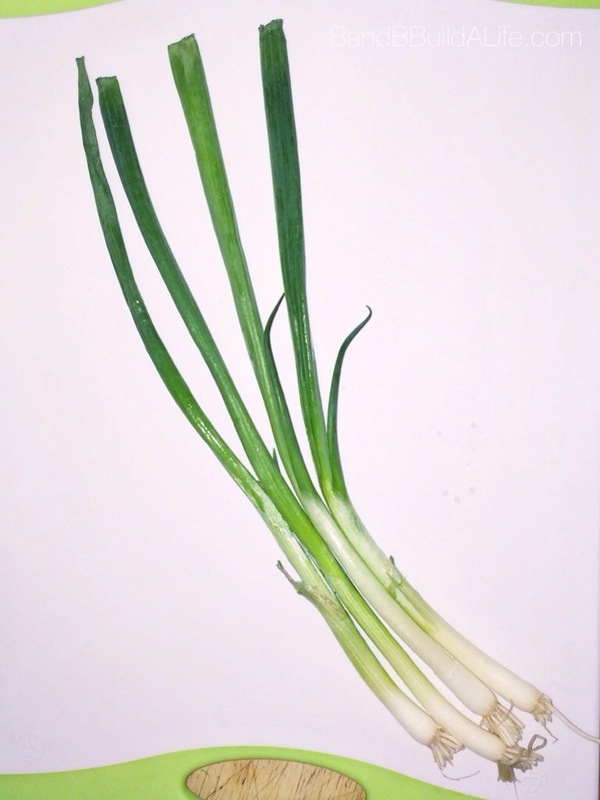 Chop as you need for your dish, but leave about an inch of the stalk above your root end. 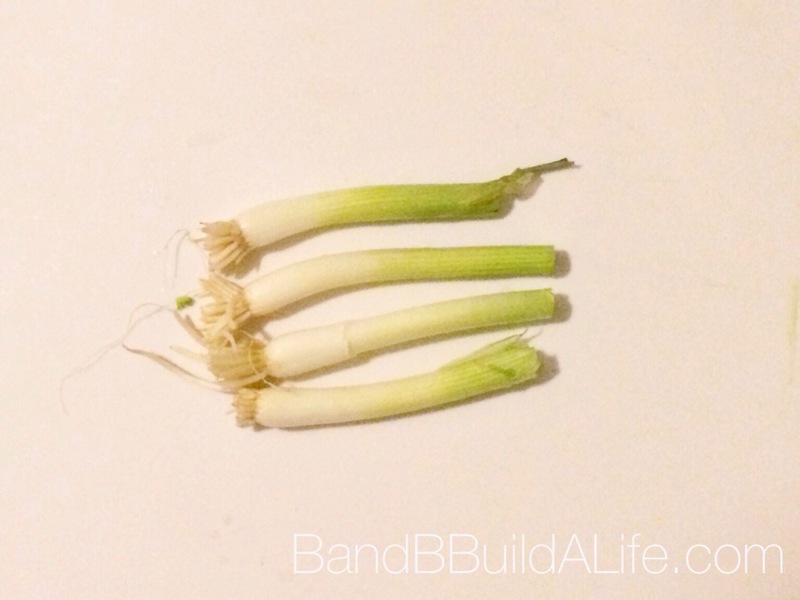 Then drop them, root end first (duh) into a shallow dish of water. Keep them in indirect sunlight and don’t let them dry out. In a few days you’ll start to see fresh stalks! Yup, that’s it. Easy peasy!